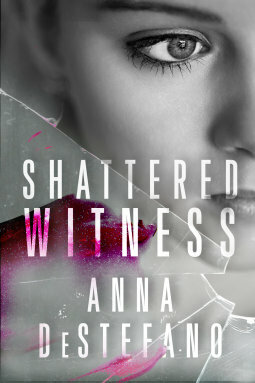 Anna DeStefano is a first time read for me and “Shattered Witness” sure drew me into the story and the lives of Shaw Cassidy and Cole Marinos. Rich and successful Shaw Cassidy is the victim of a brutal attack leaving her traumatized and searching for memories lost. She retreats to her High Mountain Estate for recuperating, but nightmares and a feeling that she’s been watched every single minute haunt her. FBI agent Cole Marinos is assigned the task of keeping an eye on Shaw as she is suspected of treason and Cole is trying to jog her memories so she can be exonerated. But dangerous events lead to Cole being implicated as well. Cole and Shaw share a past that was shattered by her father and brother. A past in which Shaw and Cole were lovers, and now it looks like a stalker is hell bent in killing both before Shaw’s memories come back. This is a fast paced action packed story, filled with thrills, danger and an evil that has no qualms of killing without emotion or remorse. Anna DeStefano definitely keeps the audience enthralled and captivated, page after page. The suspense is great, and you may get inkling as who the killer might be, but the details of the anticlimax are surprising enough. A definite read and a definite re-visit of the author for her other books. « Running On Empty – Loaded In Sentiment!